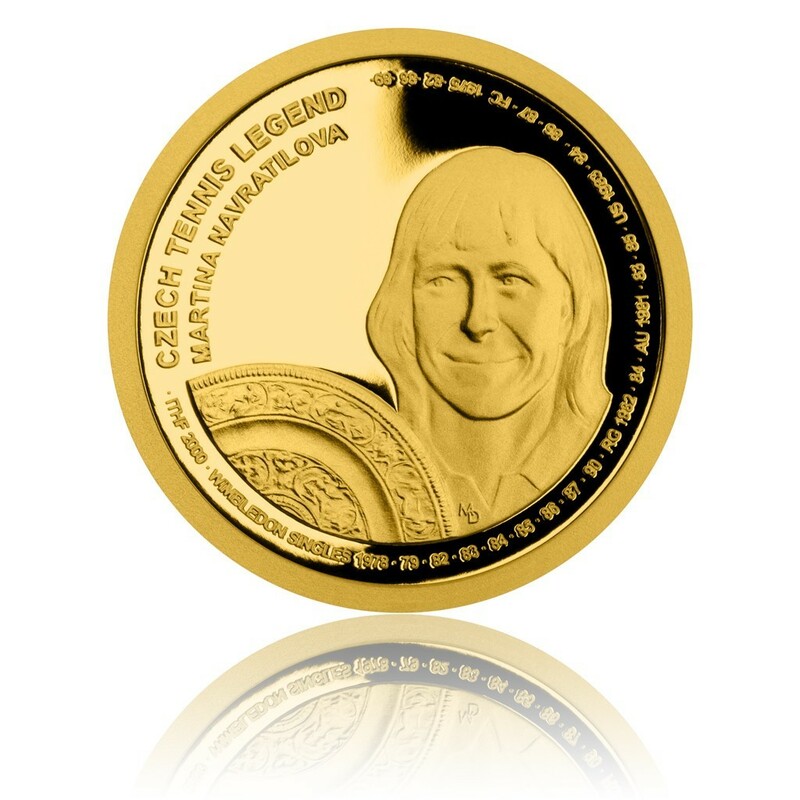 The Central Bank of Samoa have launched (29th January) a series of new coins which pay tribute to some of the Tennis World’s great Czech legends. A total of five coins comprise the set and honour five of the Tennis World’s greatest and most celebrated players whose careers have taken them to great heights of fame and notoriety. 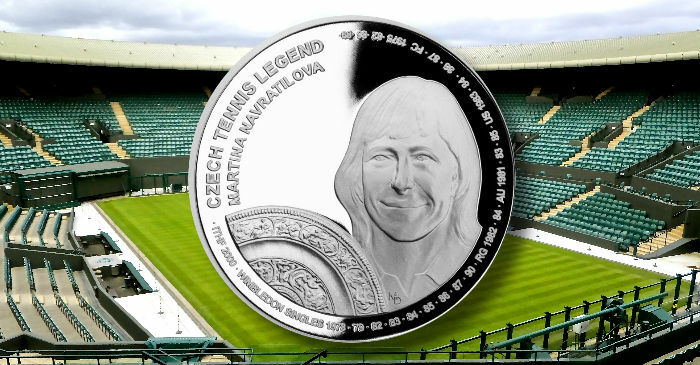 The first two coins highlight the careers of Martina Navrátilová and Jan Kodeš and will include three more during the year. The coins are produced by the Czech Mint at their facilities in Jablonec nad Nisou on behalf of the Central Bank of Samoa. The reverse side of the coins are designed by medal artist Martin Dašek, who excels at creating portraits of Czech athletes and sports personalities. 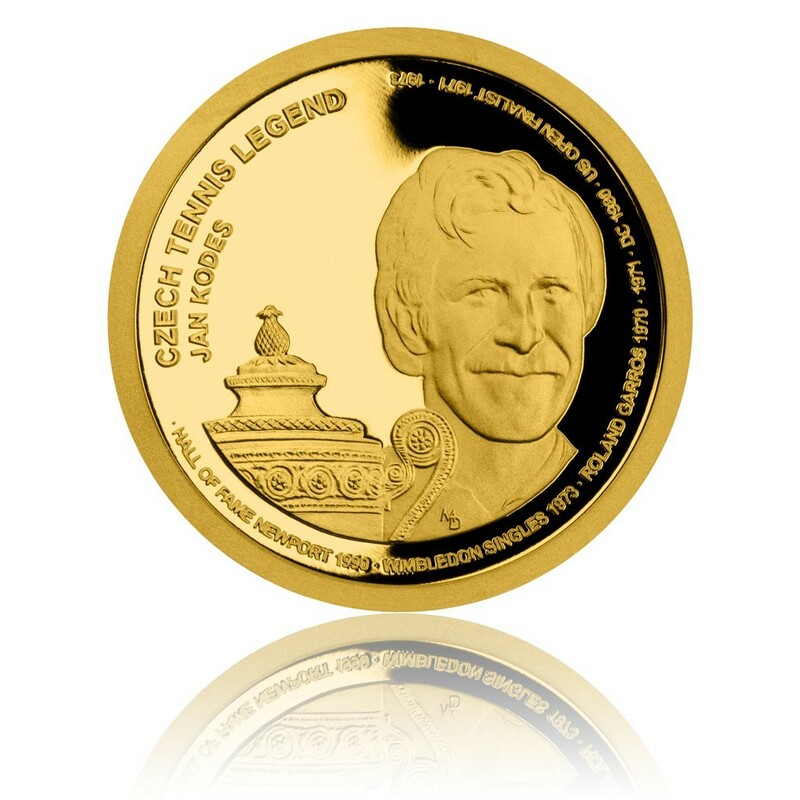 The obverse side is designed by Ladislav Vraný. Martina Navrátilová was born Martina Subertova on the 18th October 1956, in Prague, where she began playing tennis at a young age. Since the start of her career, she would become the most successful tennis player ever with a total of 167 single-player tournament wins and 177 wins in doubles. Martina Navrátilová also won the fifth-most singles titles (18) in Women’s Grand Slam tournaments of all time. From the age of nine, Navrátilová began taking lessons from Czech champion George Parma, who further refined the young player’s game. By the time she reached the age of 15, she won the Czech national championship, and at 16, she began to play professionally which led to her relocation to the United States. During her eventful career, she reached remarkable historical records, including nine Wimbledon wins from 1978 to 1990. Navrátilová would also claim the championship titles of many Grand Slam tournaments. Additionally, Navrátilová competed and took the titles in the Women’s Tennis Association championships from 1978-79, 1981, and 1983-1986, as well as the Fed Cup in 1975, 1982, 1986, and 1989. She was deservedly admitted into the International Tennis Hall of Fame in Newport in 2000 and was decorated as a Czech sports legend with the Emil Zátopek Award in 2006. 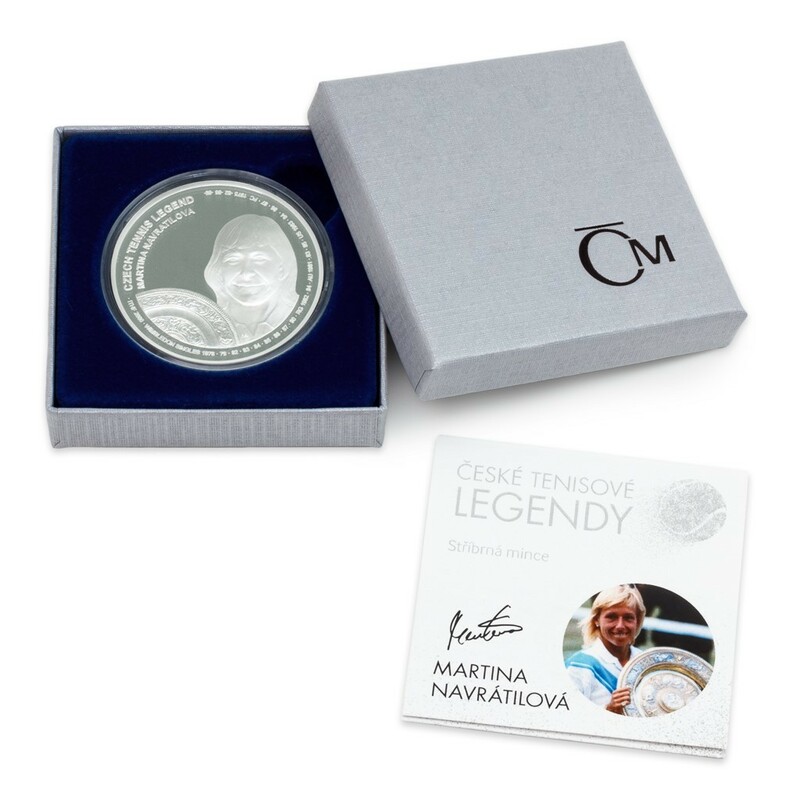 The reverse side includes a front-facing portrait of Martina Navrátilová, who triumphantly holds the Wimbledon trophy surrounded by English inscription CZECH TENNIS LEGEND MARTINA NAVRATILOVA, along with a list of her greatest sports achievements. 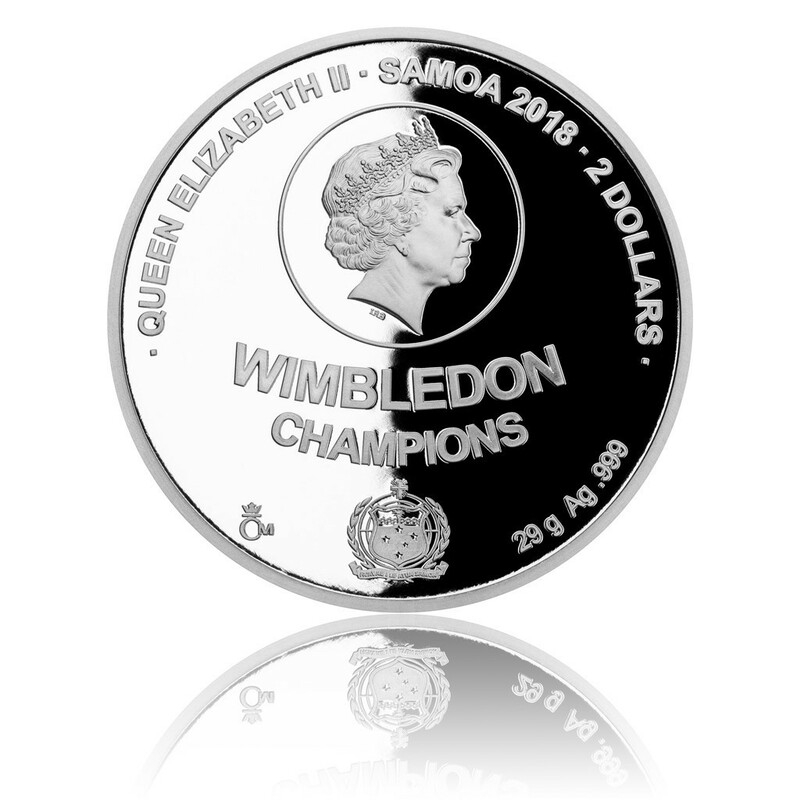 The obverse side bears an effigy of HM Queen Elizabeth II which is surrounded by a separate circle along with the text QUEEN ELIZABETH II – SAMOA 2018 – 2 DOLLARS (25 DOLLARS for the gold coins) placed above the effigy along the top edge. Below the portrait of the Queen is the text WIMBLEDON CHAMPIONS arranged in two lines. Below the text is the crest of the State of Samoa. To the left of the crest is the mint mark of the Czech Mint. Jan Kodeš is a Czech athlete who has dedicated all his life to the sport and tried to do his best for Czech tennis as both a player on the court and as an official. Born in Prague in 1946, by the age of 18 he had the choice of either playing tennis or football — another sport in which he showed great talent for. Between training and participating in an international tennis tournament, Kodeš also managed to attend university and graduate from the School of Economics in Prague. At age 20, he became part of the ATP (Association of Tennis Professionals) circuit which effectively meant that he had already begun the process of transitioning into a professional tennis player. His extraordinary talent was visible to all and within three years the young man from Prague had developed into a seasoned competitor, allowing him to become part of the greatest exponents of the sport internationally. Kodeš would go on to dominate the Czechoslovak ranking for 12 years as a multiple champion of the republic. He was awarded a prize ”For Merit and Construction,” along with ”Fair play” from the Czech Olympic Committee, and the Emil Zatopek award honouring him as a”Sport Legend” of the Czech Republic. His prowess as an exceptional tennis player would take him beyond the boundaries of his homeland and the name Jan Kodeš is proudly written into the history of the Davis Cup, the U.S. Open, the French Open, the Italian Open and the most prestigious tennis tournament of all — Wimbledon — which he won in 1973. Kodeš also received the prestigious international ITF prize for ”Services in the Game” and the USTA ”Johnston Trophy” for his contribution to world tennis. Apart from that, he is also a member of the International Tennis Hall of Fame. The reverse side includes a front-facing portrait of Jan Kodeš, who triumphantly holds the Wimbledon Cup surrounded by the English inscription CZECH TENNIS LEGEND JAN KODES, together with a list of his greatest sports achievements. April: Jana Novotná — 1998 Wimbledon winner, recently deceased. June: Jaroslav Drobný — the only person to win the combination of Wimbledon in tennis in 1954 and a World Championship title in ice hockey in 1947. September: Petra Kvitová — the winner of the 2011 and 2014 Wimbledon.